Retiring early is a goal many of us wish to achieve. The chance to stop working, pursue other interests and spend time with family make early retirement an attractive option for those who can afford it. If you are considering retirement, here are some key points you will need to address to transition from working life to retirement. The first step to retiring early is to budget how much money you will need every month once retired. If considering early retirement, it is likely you will have paid off you mortgage. However, plans to travel, support your children or follow leisure pursuits can often add considerable expenses to your budget. It is important to account for these or you may not be able to achieve all your retirement goals. Crucially, if you are retiring early, you are more likely to be in relatively good health. This can make it easy to overlook how expensive medical care could be in the future. It is important not to ignore this cost, or alternatively, to take out private medical insurance and factor this into your budget. gpfm’s financial planners can help you with your retirement planning and budgeting so you can rest safe in the knowledge that you can afford everything you need in retirement. For those born in or after 1978, the age for drawing the state pension is 68. The state pension age for those born earlier than 1978 can be found here. If you wish to retire early then, i.e. before your state pension age, you will usually have to have considerable savings in private or workplace pensions. The lowest age at which most private or workplace pensions can be taken is usually 55. This is also the lowest age at which the government grants you your 25% tax-free lump sum allowance. The combination of both these factors means that retirement before 55 is rare and, for a healthy person, unlikely to involve any pensions whatsoever. It is important to remember that taking your pension early means you will receive a smaller amount of money from it every month, since you are expected to be drawing from it for a longer period. Those considering retirement should contact their private pension providers to get a pension forecast at least six months before they plan to retire. Earlier forecasts may not be as accurate, but will give you more time to plan. You should also get a forecast from your workplace pension trustee at this point. If you have a defined benefit scheme, you will already have a good idea of how much you will be paid. If you have a defined contribution scheme, you may not. 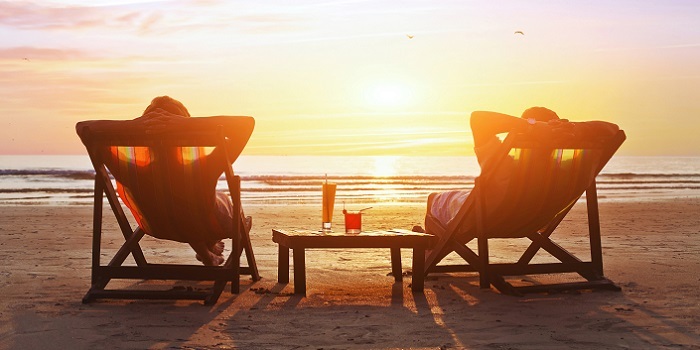 The forecast will estimate how much your final pension will be. It will also explain how you will receive the pay-outs. Once you know the worth of each of your pension pots, it may be worth consolidating them all into one pension scheme. This can make it easier to get an annuity but there may also be substantial exit fees that apply when you move your money. If you are retiring early and you feel your savings could perform better in another scheme, it is important to move your savings as soon as possible so you can top your savings back up after the exit fees have been applied. To start planning for your early retirement, contact our retirement planners now on 01992 500 261 or email enquiries@gpfm.co.uk.